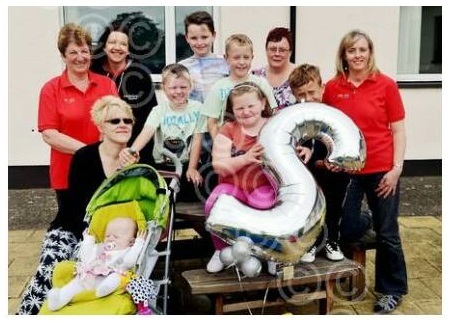 Being a parent of a child with additional needs,special needs,disability…. ( so many terms these days)… isnt easy, but if we dont shout up for them who will? When jamie was diagnosed with autism back in 2002,we werent prepared for the endless battle that lay ahead of us,support, statements endless form filling, countless meetings and phone calls all while trying to come to terms with his diagnosis, during that time i found i had to change very quickly! I learnt she who shouts loudest gets results! Then in 2009 mitchell was diagnosed with becker muscular dystrophy… again it felt like our world was falling apart, we had never heard of becker muscular dystrophy, then in april this year he was also diagnosed with autism, its been a tough few years but to see the boys grow and their characters develop is so rewarding! Support from family and friends is so important as well as support from families who have amazing kids like yours. SHOUT is there when you need advice, support or if you just need a coffee and a chat. We don't have a magic wand but we will try our best to help. One last thing is to always remember to take …ONE DAY AT A TIME ! 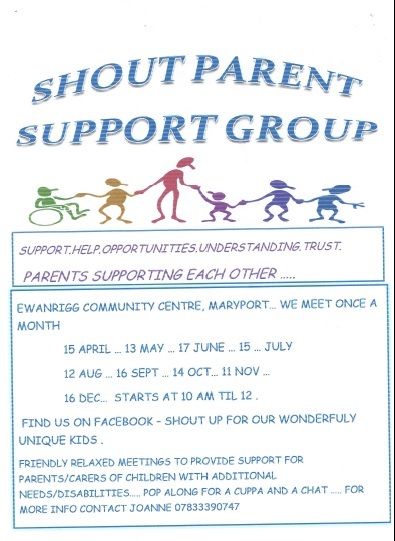 SHOUT meet in the centre every 3rd Wednesday of the month from 10am – 12pm.